Peter Dunn, AO – Noetic Group U.S. Working with Ministers, Agency Heads and executive managers, Peter builds partnerships to develop capacity that leads to actions which address the most difficult challenges faced by public sector organizations and communities. Peter’s extensive career across the public service and in the private sector give him a particular insight and experience into strategic leadership, change management, emergency management, and staff and community engagement. Peter is highly respected for his ability to transfer his practical experiences to other organisations, leaders and communities to build capacity. 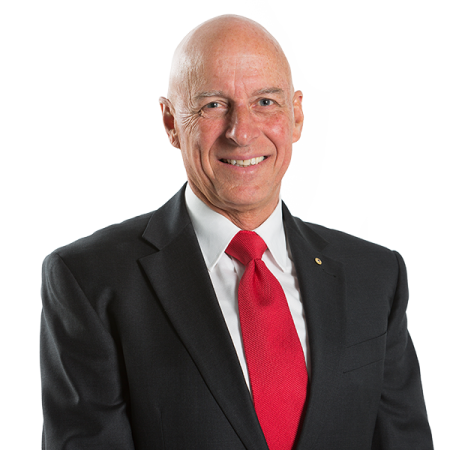 Peter has held senior leadership positions in the Australian Army, the Australian Public Service, the Australian Capital Territory Public Service and in the private sector, and has served on numerous public sector boards and the board of a mid-sized private sector company. He is Chairman of Project Malpa, an Aboriginal children’s health non-government organisation. Peter joined the Noetic team because of its unqualified integrity and the way in which it clearly places the client at the center of all company efforts. The fact Noetic is prepared to put forward evidence-based findings that sometimes challenge existing client thinking was a key motivator for Peter to join Noetic. Peter has worked with clients in South East Asia, the Pacific Region, the United States, the United Kingdom and New Zealand.